If your organization or community suffers a flood to any of its facilities, the damage can be devastating. Your recovery can depend on how you assess and report the damage. Our team of experts helps you obtain the maximum claim recovery so you can get back on your feet sooner. According to the National Weather Service, on average, flooding causes more than $3.5 billion per year in total flood insurance claims. Floods can arrive instantly, pouring into homes and buildings with contaminants picked up along the way. Even if you are not in a floodplain, your facilities are vulnerable. The types of damage can vary, as well as their severity. As you deal with the chaotic aftermath, you will now also have to secure the funds for recovery. Will it come from insurance? Will it be enough? How will you know? Our public adjusters have expertly managed claims for every type of disaster at the regional, state, and national levels. We are called upon by communities, non-profits, and government organizations for our unique ability to mobilize a top team of professionals who have the unmatched experience and comprehensive understanding of the laws, regulations, and policies involving disaster recovery. This enables us to consistently coordinate and obtain the maximum reimbursement for our clients so that they may recover sooner. Make sure you fully understand the meaning of each of the following before you move forward. Feel free to reach out to us for a no-cost discussion about your claim. Why should the county, city, town, or district optimize its claim? Do we have a commitment to taxpayers to recover the most possible? What if the insurance company engages a building consultant? What is my agent/broker’s role? Will my code upgrade coverage address all my code related issues? ADA, fire codes, etc.? Is there coinsurance in my policy? Do we need to issue an RFP in order to engage your services? Who in our county, city, town, or district will be involved in making the decision to hire us? 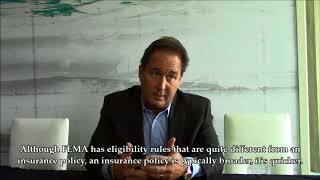 Is your claim a result of an event that may be funded by FEMA? If so, it is your obligation to first maximize your insurance settlement to satisfy FEMA’s eligibility requirements. Why can’t we do it ourselves? What emergency facilities are necessary to continue operations? Can temporary facilities still be used at the end of the claim and be considered permanent? If so, how? How do existing plans for renovations or enhancements affect my claim? What building codes and regulations must be considered in the reconstruction? How do bond cycles affect the full replacement cost holdback provisions of a policy? [Your public adjuster] was available to us round-the-clock in those initial days [after the flood] to answer any and all questions from both district personnel and members of the Board of Education...[Your] expertise, tenacity, thoroughness and diligence resulted in a job well done. Thank you again for your firm's efforts. New Energy Works, a leading timber company in America, suffered winter-related roof collapse to one of its main 15,000-square-foot buildings. When operations could have been left in limbo, our public adjusters quickly took control of the insurance claim process to help make sure New Energy Works kept running and did not lose customers to competitors. Norwich, New York Firearms Manufacturer, CZ-USA/Dan Wesson Firearms, suffered devastating fire damage on November 14th, 2012. While testing out a new gun, the backfire from the shot caught material, causing a multi-level fire in the building. “Responding to the Worst Hurricanes, Storms & Floods” focuses specifically on our response to many of the worst natural disasters of the past quarter-century, including: the City of New Orleans after Hurricane Katrina; the Florida Keys following hurricanes Dennis, Katrina, Rita and Wilma; and the Texas Medical Center following the rains of Tropical Storm Allison. With the most common natural disaster in the United States being floods, this issue of Disaster Recovery Today® discusses floodplain management and its impact on FEMA reimbursements. Each year floodwaters will rise and numerous properties will be destroyed. Flooding can occur just about anywhere, and other than fire, it is the most common widespread disaster. If you're suffering from a government & non-profit property claim, we can help! Through his extensive knowledge of both the insurance industry and property insurance policies, Steve is able to empower our clients to achieve maximum results from their property insurance claims.